The introduction of the Toxicity charge (T-charge) on Monday means London will again be at the centre of pollution and congestion controls. 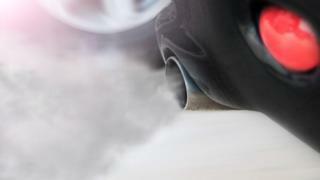 Transport for London (TfL) thinks it is "the strictest daily emissions standard" in the world. Former London mayor Ken Livingstone introduced the congestion charge in 2003 and the Low Emission Zone in 2008. Now another Labour mayor, Sadiq Khan, has started his war on pollution. The T-Charge is a £10 levy for those who drive old more polluting vehicles in central London and it's really an add-on to the congestion charge of £11.50. So, if you drive an old vehicle you'll have to pay nearly £22 in total a day. It uses the same technology, camera and payment systems as the congestion charge. Nearly all vehicles will have to comply with what's called the Euro IV exhaust standard, that's a set limit on the pollution a vehicle is allowed to emit. If you forget to pay you'll get a fine of £130 (reduced to £65 if you pay quickly). Broadly it means nearly all vehicles prior to 2006 will have to pay an extra £10 to drive in London. Air quality campaigners welcome the T-charge but say this should just be the start and want diesel vehicles banned completely. But the Federation of Small Businesses (FSB) said it will make London uncompetitive. London Conservatives say the charge will hit small business hardest and poorer drivers. London Assembly member Shaun Bailey said: "As an asthmatic I'm well aware of how critical an issue this is for London but we need policies that actually deliver progress. "When the Mayor's own assessments prove it won't work, the T-charge becomes nothing more than an attack on London's poorest drivers and small businesses. "Sadiq Khan tells us he is desperate to clean up London's harmful emissions but this road tax won't make a dent. I will be happy to support the Mayor when he comes forward with policies that support London and not just his image. "By boasting about a policy that so disproportionately penalises London's poorest drivers and puts jobs at risk, the Mayor is simply blowing more smoke into the capital's already-polluted atmosphere." What is interesting are the numbers. When this policy was announced about a year ago, according to TfL it would have affected 10,000 vehicles every day. Already that number has reduced to 6,500 a day. So the T-charge has already had an impact and changing drivers' behaviour and the vehicles they drive.